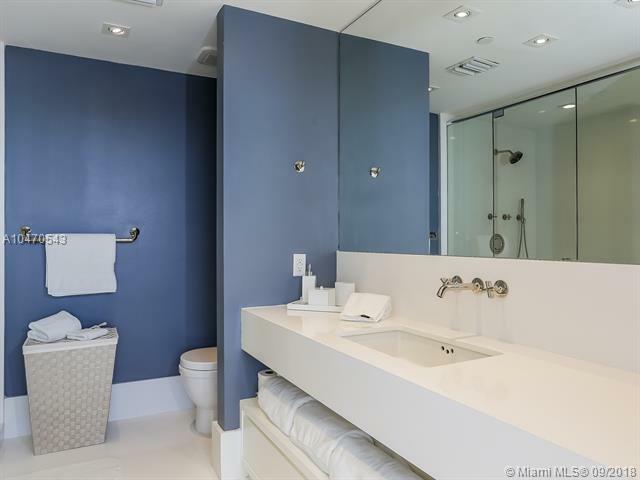 Professional baseball player Yonder Alonso has a special surprise in store for whoever buys his Miami Beach penthouse: the buyer who ponies up Alonso’s $1.995-million ask will receive both the keys to the luxurious condo and a pair of MLB playoff season tickets. The first baseman hopes the tickets might generate some interest with his listing that has, so far, gone unsold since first hitting the market for $2.975 million in 2015. This past spring, the home saw its latest reduction to its current ask of just under $2 million. 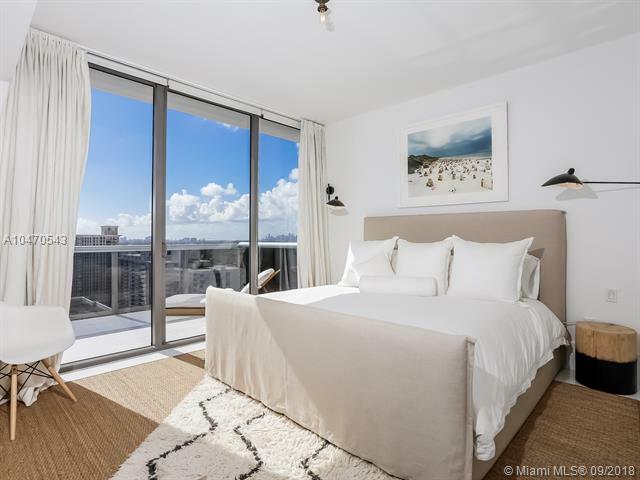 The two-bedroom, 2.5-bath unit spans 1,556 square feet, and boasts walls of retractable glass panels accented with a bright white modern aesthetic for abundant reflected light. The combination living room and kitchen opens up to a spacious balcony overlooking the ocean. The compact kitchen is smartly designed to offer views of the water from nearly any spot. Thanks to the large marble-clad island, there’s also plenty of room to host friends and family. Even better, both of the bedrooms also have access to the balcony via floor-to-ceiling glass sliders. This spring, Alonso signed a $16 million contract with the Indians.